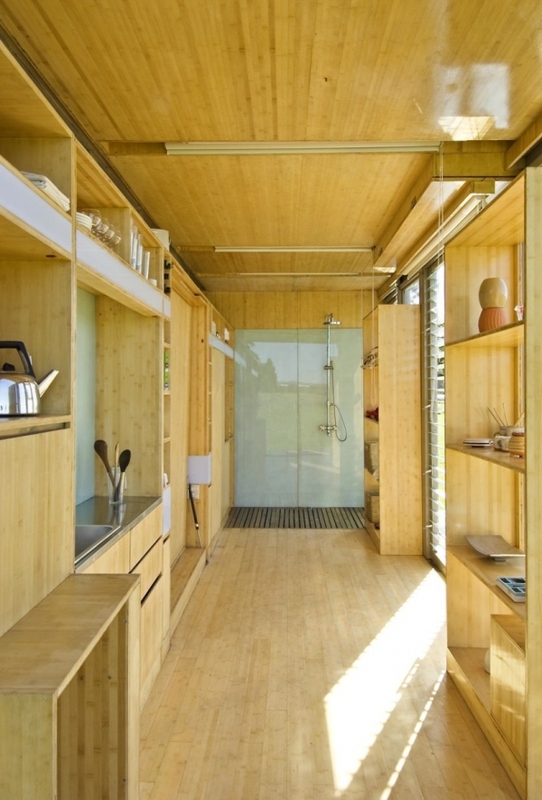 The Port-a-Bach is a twenty foot container home created by Cecile Bonnifait and William Giesen of Atelierworkshop. It is the perfect solution for a quick getaway or some weekend family time in the woods. 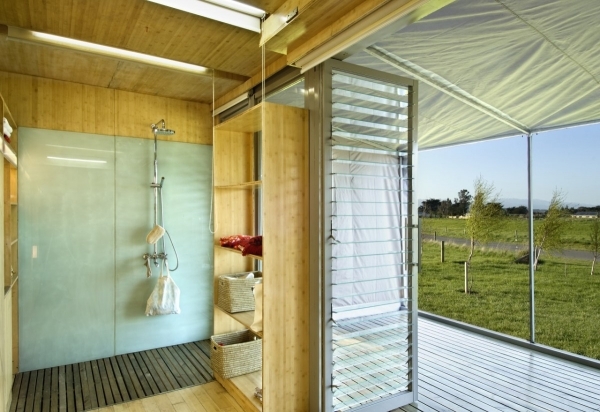 It houses up to a four person family, and it has a composting toilet, solar panels, and a rainwater collection system. The wood and the exterior of the shipping container look absolutely fantastic together. 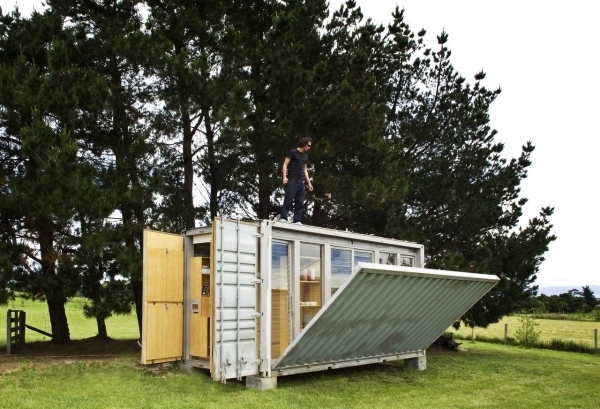 The front of this container home folds out into a stunning deck. We love the large windows, the sleek doors, and the glass blinds. The chairs and the wooden blocks are perfect additions to this type of setting, they add beauty without taking up much space. The back folds out into marvelous bunk beds that can be covered for protection from insects and less than ideal weather conditions. 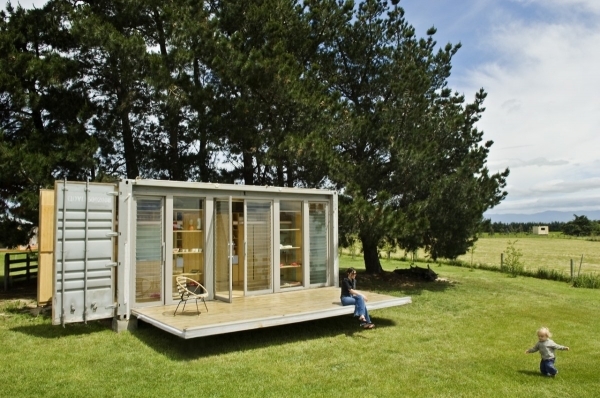 The inside of this container home is absolutely gorgeous. It is filled with fabulous light wood, and plenty of modern shelving and cabinets. The openings in the ceiling are storage for the temporary walls that come down to provide individual sleeping areas. The shower is positively stunning with its wood slats and beautiful fixtures. We love the storage right next to the bathroom area providing the perfect space for toiletries. At night, the home looks magnificent against the sky. The warm lighting produces a cozy and inviting glow: simply beautiful. 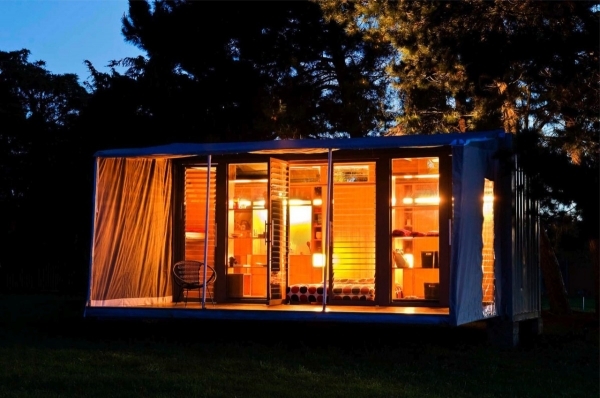 It would be amazing to have this fantastic container home as a camping cabin. 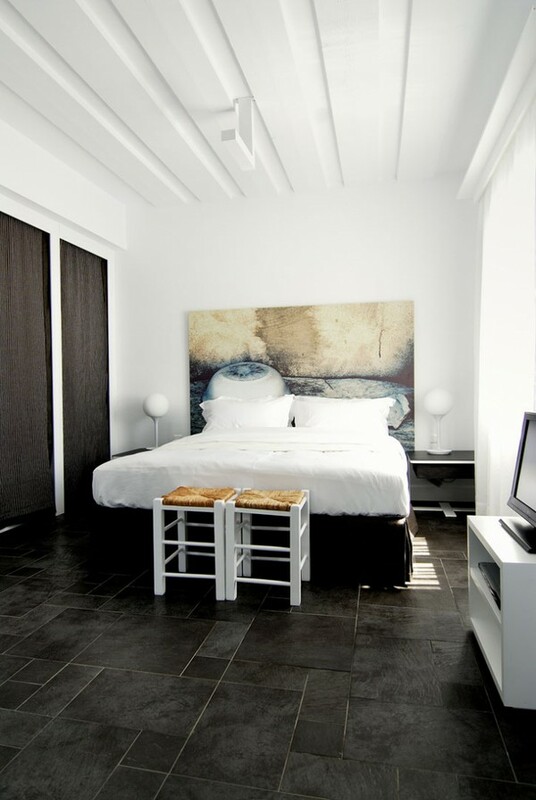 It is sleek and modern, and thoughtfully designed. Everything you could possibly need could fit into this cabin, without the ability to bring everything you want, leaving the distractions at home and providing the perfect semi-camping experience. Even better, with this home, you can camp anytime you want, and it cuts down on planning and preparation time.